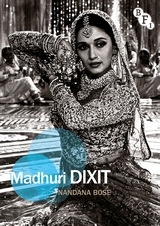 A wide-ranging account of the Indian film star Madhuri Dixit, one of the most popular actresses of Hindi cinema. Nandana Bose’s study traces Dixit’s twenty-five year career, exploring her star persona, her indelible impact on Indian popular culture, and her continuing popularity even in middle age. Nandana Bose discusses Dixit’s unusual and distinctive career trajectory that upends pre-existing models of female stardom, by marrying at the peak of her career, withdrawing from the limelight for years, and then returning to extend her career into her early fifties by reinventing herself as a transmedia celebrity for a new generation. However, it is her unique talent as a dancer, and her innovative choreographic styles and repertoire of movements that make her standout from other Hindi film stars. Surveying Dixit’s film-making career, Bose argues that she represents a wholesome and traditional figure of femininity that has resonated across class and cultural hierarchies at a time of great economic and social change in India. “Like most enduring media celebrities, Madhuri dramatizes the essential contradictions of stardom. Nandana Bose has captured these complexities for us in a fascinating story of technology, sexuality, and performance. She shows how, even as the fortunes of a rapidly transforming Hindi cinema dim and flare, Madhuri’s superstar incandescence continues to burn brightly. A real treat for scholars and fans alike.” — Nitin Govil, Associate Professor of Cinematic Arts at the University of Southern California, USA. “In this scintillating study of Hindi cinema’s first female superstar, Nandana Bose examines Dixit’s phenomenal success in relation to the dramatic transformation of India’s mediascape during the 1990s, and reminds us of the collaborative labour required to manufacture an icon.” — Michael Lawrence, University of Sussex, UK. “Bose expertly traces Dixit’s career trajectory from her arrival in the Hindi film industry as an ordinary young middle-class outsider to her rise as an idealized and idolized dancer-actress extraordinaire, and from Dixit’s surprise withdrawal from films after marriage to her later return as a television and transmedia star. In doing so, Bose gives readers an unparalleled insight into the lived experiences of a female superstar; a part of film culture that is woefully understudied in Indian cinema studies.” — Shanti Kumar, Associate Professor, Department of Radio-TV-Film, University of Texas at Austin, USA.